Home / Archive by categorySEO"
The Google search console is referred to as the discussion channel between you and the Google. The webmaster will have the permission to operate the Google search console and it is an integral part of SEO. This amazing free tool provided by Google supports lots of people to design and modify their SEO strategies easily. Today we are providing a complete guide to Google search console. 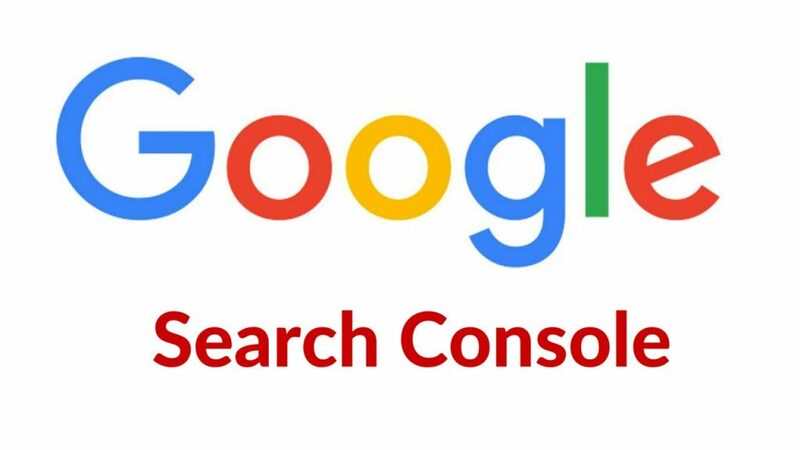 How to Connect Google search console with your website? At first login to Google search console using your Google account. Then click on the add a property button. Here you can add the website name. (Note that you should give the full website address.) Click the Add button. In the next page, you will see 7 methods to verify your website. In this 3 of them are pretty easy. HTML File – Download the HTML file provided by Search console and upload it to your website. CNAME or TXT record – Add a special CNAME or TXT record to your domain settings. HTML Meta Tag Code – Simply paste a unique HTML tag to your webpage’s <head></head> section. After completing this process you need to click on the Verify button. If you get a green tick mark then your site is verified. You need to decide which domain address you prefer. That means you can use either www version of your website or non-www version. The chosen version will be shown in the search results. What will happen if you don’t set a preferred domain? Google takes www and non-www versions as separate references and it will reduce the power of your backlinks. You can also add redirection code to the preferred domain so that only the preferred domain will be noticed by the user. Google helps the webmaster to know how their website is performing in the case of optimization. For this Google needs to know where is our targeted country. Google will have some assumptions using the information that you provided on the website. Like the server location, contact address, language used etc. If you give the exact information then Google can do the work easily. You need to click on the International Targeting link in the Search Traffic menu seen on the left-hand side. Click on the Country tab and check the Target users in the box. 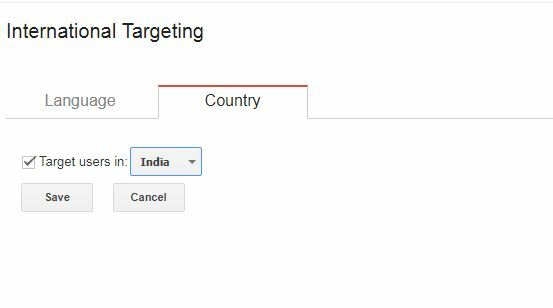 Then you should select which country you need to target from the drop-down. Click on the Save button to complete the procedure. While using Google Analytics we would find that we will get very small information about the keywords. Usually, it may show as not provided. But when we link it with Google search console we will get the more clear picture. In the Google Analytics dashboard click on the ADMIN section. From there click on the Property settings. You need to click on the Adjust Search Console button. Then in the new page click on the Add link. Select your website and check the box near to it. Then click on the save button. 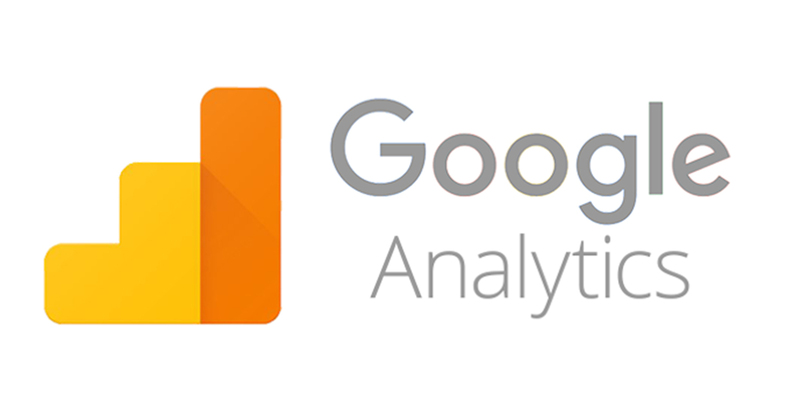 Now the Google search console and Google analytics are linked. Now when you go through the Queries option in the Google Analytics you can see new keywords. Submitting the sitemap will help the google to crawl your website easily. A sitemap Is an XML file which contains the pages of your website with their recent update dates. So whenever a change happened to a web page then this XML file also gets updated. Google bots visiting the sitemap could find the recently changed page and crawl that pages easily. If you are using WordPress to manage your website then you can add Yoast SEO plugin to quickly generate the sitemap. In the left-hand side section of your WordPress dashboard, you can see the General settings tab for the Yoast Plugin. And click on that tab you can see the heading XML sitemaps. There you need to click on the toggle bar to ON the sitemap. Save the changes. At any case, if you type your websitename/sitemap.xml you can see your sitemap file. If there is no sitemap then you need to add one. In the crawl, section select the link Sitemaps to submit the sitemap. You need to add the URL in which sitemap is visible. Click on the ADD/TEST SITEMAP button to add the sitemap. If you are aware of the old google search console then it is time to investigate the new Google search console. Try the new search console and comment your experience here!!! It is hard for eCommerce site to believe that SEO can double or triple their sales in short time. Here are a few eight effective ways that can be embraced by SEO expert to optimize the eCommerce site and improve the sales figure. Though, it sounds to be impractical, but it is practical to improve the sales and conversion rates be adopting SEO to your eCommerce site. In fact, optimizing the site by using SEO tactics will double your traffic and sales. There are many queries arises on how SEO can boost the traffic, conversation rate, sales number, engagement rate, and turning prospective clients into buyers. In this post you can see the best SEO practices to increase eCommerce sales Here are a few questions that are probed by the many eCommerce site owners and the answer for each question is given below. Give me a few tips on dealing with items that are out of stock? There are several ways to deal with it, but here is a few which we suggest. Leave a few pages up. If the items are yet to receive into your warehouse, then leave a few pages up. You should not delete, conceal or replace those pages with other pages which have stocked items. Avoid adding new products in the pages or redirecting website visitors to other pages. Instead of disappointing the customer by displaying a message as out of stock for the item they are looking for, you can show the similar items of other brands. This will be positive received by the customers and turn them as your loyal customer. Instead of losing a potential customer, you can show similar products and compel them to buy instead of going with empty hands from your website. In addition, this helps the search engine to find appropriate pages and structure your site in a better way. You can also inform the users about the date on which items they are looking for will be available on the site. You need to offer the expected date on which the stock will come to make sure that visitors land on your site to make purchases. In addition, you can let them do back order so that whenever the fresh stock arrives, you can deliver the product at their doorsteps. The desperate buyers who are looking for the similar product will never mind waiting for a few more days for it. Undoubtedly, customer gets annoyed by seeing the out-of-stock tag on the item list that they are looking for. You can soothe their mind by offering discounts on the product as soon as the fresh stock arrives. This will keep up the interest of buyers to make purchases from your store later. What should it do with expired or obsolete items? eCommerce websites will sell apparels, accessories and electronic appliances. However, the latest models of appliance and styles of apparel will hit the market from time to time. The old clothes that are exhibited in the store becomes obsolete. It is important for the eCommerce site to be on par with the trend and add the latest items that hit the market to garner the attention of the visitors to their website. The eCommerce site owner needs to delete the old pages without taking any further action. This is too bad from the viewpoint of an SEO because people who would have bookmarked the URL would get an error message when they try to land on those pages as those are deleted. The best solution depends on various things. You need to use 301 redirect to show the expired URLs message. If you are replacing the expired product with a latest model of the same product, you can use 301 permanent redirect, which lets the user to redirect from the old URL to the new one as soon as they click on the bookmarked URL. This directly tells the search engine to rank the new page, thus retaining the SEO value of the page. Redirect the page to the parent category. The main intention of doing this is to resolve the user’s issue. If the similar pages that are existing on the site serve the purpose of expired item pages, then you can direct the visitors to those parent category pages. Totally delete the expired pages along with the content and URL. If the product page that is expired has no similar products that can serve the purpose, then you need to completely delete the page and show 410 status code which lets the search engine understand that the page has been deleted from the site permanently and will not be restored. You can Reuse the same URLs. If you are selling generic products who technical specifications and model numbers showcased on the product page are not true, you can reuse the same URLs to show the new products. This helps to retain the page authority and boost the ranking of the page on Google. Few of the items have huge demand forever. There a few pages which has a lot of informative content that the customers may be looking for always, so you need to retain those pages. The buyers who have already purchased the same product can get the information, customer service help from these pages. How to deal with seasonal products? If you want to reinforce the product categories, you need to totally focus on product categories by linking seasonal product in each category while giving a breadcrumb for the visitor to understand in which category the product falls into and where they are navigated through on the site. This link describes about the product pages. You need to spend a little budget to optimize the crucial product pages on the site and spend rest of SEO budget on strengthening the product categories. If you are soon going to launch a product and want to create a huge hype for it, then you need to create a coming soon page by posting informative content about the product, notifications about the launch and preorder forms to the visitors. You need to add social media buttons to the page to let visitors share this page with the other people. You need to add user centric content on the page to engage the visitors. You also need to add the year in the URL structure. For instance, if your site has a URL for the current year, you need to use 301 redirect to drive the user to the new version of similar product page. There are a few factors one should be fulfill to rank the new pages on search engines. 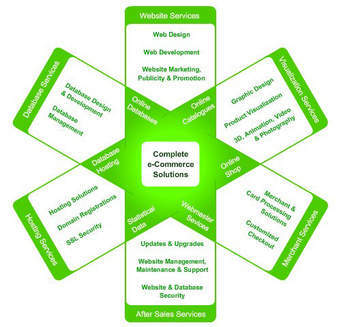 Few of them include information architecture, structure of the site, and internet link building. You need to link the new product page from your home page, product categories page and category level page. This lets the crawler to crawl through the new page and index the page faster. It is crucial for you to link the new pages from the parent category pages. You also need to optimize the theme on the home page to showcase the products on this page to let the search engine find the new ones with ease and index them. In addition, you also need to link the similar existing product pages to the new products to let Google index and rank the page swiftly. How to optimize the product pages with no or little unique content? It is highly challenging and daunting to run an eCommerce site with fierce competition from rivals. Businesses always want to showcase unique product description for every product page. Few people due to lack of time and money will use same product description for the similar products, thus leading to duplicate content and penalizing the site by Google. There are a few pages that have a product image and some vague information. This will not let the search engine understand what the page is speaking about, how this page is related to other pages on the site and how it is useful for the users. You need to craft unique and informative content for every new product that is added on your site instead of pulling information from the database. You need to use Google analytics to find the best pages from where you are receiving more number of sales and update the content of those pages regularly. You also need to reinforce your product categories. It is impossible for an eCommerce site to produce content for millions of products showcased on the page. The best way to avert this problem is to strengthen SEO for product categories. Use breadcrumbs, internal links and add appropriate products to feed the search bots and let them learn and understand what the site is about. It is crucial for you to use only the content generated by users rather than robots. This unique content will stand out from the other product pages with duplicate content. You can share these pages on social media. Also, you need to encourage the customers to leave reviews about the products purchased from the site to boost up SEO campaign and thereby sales. How to showcase the product descriptions given by the manufacturer? Google never like to have duplicate content stored in its database. Undeniably, the manufacturer will have the same product description used on his/her site and when you lift the same content and add that on your site, it becomes duplicate. There are many eCommerce sites that are not rephrasing the product descriptions and specifications instead are adding the same content on the manufacturer page on their site too. You can keep duplicate content at bay by using unique content that is posted by the users in the comments section and reviews. You need to motivate users to comment and integrate your product pages to social media. This lets the user to convey their story and experiences of using the product. The happy customers who loved the products would promote about your brand and the product. Add unique content in each product page. You need to personalize the content by letting the user understand how the product solves their daily problems. In addition, you can add product specifications, photos, videos and suggestions to the content of the product. Add a psychology” layer to the product content. Many product descriptions are not engaging and are filled with many technical specifications. Undeniably, you need to hit the right chord of the audience by cashing their emotions and feelings. You need to write the product description like a story. How to deal with variations in the product like the color of the product and its size? Many products that are available on the eCommerce sites are similar to others except the color change and size difference. If you are not handling them property, then it results in duplicate content, thus taking a toll on the site ranking and have negative impact on the new products that are releasing by the company due to the poor sales performance of the existing products. Also, products will be ranked for wrong keywords like for black shoes the user will get the list of products showing red shoes. You need to thoroughly go through the entire site and change the keywords of the products to rank your site better and gain huge traffic and sales. How to handle product category pages on the site ? After the home page, another crucial page on the website is the product category page. You need to consider the category pages as landing page or separate home pages. You need to category the products correctly under each category to let users find the products they are looking for easily. Construct an in-depth links for product categories. You can use paid campaigns, promote the products on social medial, do content marketing or guest blogging. Tag the content that is shared socially. Use right strategies while sharing links on social media platforms like Twitter, Google plus, LinkedIn, etc. You need to be specific to what you tag. Take ownership of what is being showcased. You need to design the category pages that are easy to search engines to crawl each page linked to the category page and for the users to search for what they are looking. How to effectively do internal link building and architecture? You need to build internal links to other product pages on the site to let search engine crawl and index the pages again and again whenever it sniffs a new piece of content in any of the pages linked to each other. To attain fruitful results, you need better link architecture rather just building the links. Basically, internet links is not all connecting one page to another, but it should be user-friendly. There require a perfect planning and time to prepare a powerful internet link architecture. Offer navigation for every category level. This gives a clear picture to the user on what they find in the sub-category pages of each category. You need to keep the pages related to context. You need to create different categories and add the relevant products that falls under a specific category. You need to do the categorization by keeping humans in mind and optimize those pages with the right keywords. It is imperative for you to use breadcrumbs on all category pages to let user know where they navigating on the site. This helps both search engines and users to navigate from parent category to in-depth. How to leverage the content generated by users? This content needs to be integrated into the product pages to add freshness to the site. Positive reviews left by the users will improve conversion rates. Many new users add into your customer base and form a happy community. Prospective buyers would get motivated to buy products from your site. Build a happy users community and start posting the customer testimonials on your website and social media pages. You can share the blog posts written by the users sharing their experience of shopping on your eCommerce site. One positive review left by a user will influence the other prospective buyers to trust in your brand and compel them to become your loyal customers. You can showcase the trust of customers on social media platform. You can use Schema. org to showcase the ratings based on the reviews of the customers on the search results pages whenever the user searches for your site or search with the keyword similar to your product. The site that has higher star ratings will have higher click through rates. Integrate every product page to social media like Instagram, Facebook, Pinterest, Twitter, and Google plus to receive comments, pins and followers. This showcases your social presence to the users. You also need to post the photos of happy buyers on your site and social media pages by using your products.The latest SEO is all about psychology of users rather than technology of the site. How to optimize the site from website designing phase? Web design is not all about adding aesthetics to the site. You need to hire an expert eCommerce web designer who works in liaison with the SEO expert, digital marketers, analyst, conversion rate optimizer and other team members of digital marketing to start gaining traffic from day one of the site going live. The company should give freedom for these teams to take right decisions and allocate budget. When a web designer and information architecture work is done simultaneously, then you see no break in the URLs or page structures whenever you add a new product page. This also assures quick crawling by all the search engine spiders. The site that has visually appealing design and great content will give an incredible experience for the users while generating more sales. If you fail to plan you fail to implement it properly. It is crucial for every eCommerce site owner to let SEO work simultaneously with the web design from the designing phase. This SEO expert is involved in creating the wireframe and in designing phase to let the site get traffic from day one of the site launch. Creating internal links for product category pages on the site would be effective. SEO done for eCommerce site is totally different to the SEO done for the other websites. Every eCommerce site owner should hire an SEO consultant who is expertise in understanding human psychology, conversation rate optimization, Google analytics, web designing and development process, social media marketing, content writing, budget, and user experience. In addition, the professional SEO expert who has worked for many eCommerce sites will also have profound knowledge on the functioning of eCommerce business. The design of an eCommerce site should keep on changing; there is no end for its design, as customers want to have a new experience every time when they land on the site. The site designers will perform A/B testing to check what the users likes and dislikes on the site and how the site is performing for each web design pattern. Using the right tools and hiring the best SEO consultant are important. Though, the expert is expensive, but it helps you to generate umpteen sales in a short time. How to organize similar products on the eCommerce site ? By organize relevant products at one place will let users search for all the relevant products and buy one that best fits in their needs. This lets the buyers to buy some or the other similar model product that is in their budget. This definitely will help you to get a sale. The Meta data ensure that all the products showcased are relevant, personalized and stocked at one place. It is the responsibility of your web designer and developer to build solid internal link architecture to link one similar product to another. Be specific. If the user has landed on your product page in search of iPhones, you also need to show similar products as per the buyer persona. You should never show the product whose range and quality is lower than iPhone rather showing the product that is on similar lines of iPhones. For example, you can show the latest Google phones. If the buyer likes the product, he/she may make a purchase. You need to measure and optimize the suggestions given for a product from time to time. Placement and location on the site. You need to showcase the product at the right place on the site to stand out from the other products and look beautiful to the visitor. You need to give a special place for new products rather than placing it between the existing products or in the suggestions page. You should never waste the best space on the site for the products that are rarely opted by the users. Many eCommerce websites will optimize the site for Google search, but fail to optimize the internet site search. The reason for this is giving less priority to internet search and losing the potential sales. When people search with wrong spellings, synonyms of the product and with hyphens will let take them to the right pages of the eCommerce site, but this should take them to the right pages. For this, you need to use site search. You need to use certain tools that let you to identify the keywords with which users are searching within the site and calculate the amount of revenue it generates. Check for the keywords that are often searched by the users on your internal site search page. This lets you to know which products are more popular and lucrative. This also lets you know that users are not able to find out the products what they are looking for in your site. You can use the best tool like Crazy egg to clicks of the users on home page, category page and other product pages. This lets you to track their behaviour on each page and until which page they are going from the home page. Consider the site search results page as the landing pages of the site. The user searches with a keyword to find the best site from where he/she can buy a product. The search results should give relevant results and let users to find a solution for their problems. Ensure to add “no index” in every product page. You need to add site search in the keyword research page. You need to know which keywords are used by the users to search for new products on the site, find areas of improvements on the site, know the popular products on the website and find out if there are any search problems that are experienced by the users. You need to keep on testing the site from time to time and fix the bugs quickly. You need to search for the keywords that you have included in the internal site search and see the results it is displaying. You need to fix the broken links to improve sales. Add internal search on the page and ensure that this search lets user to find right product that they are looking for on the site. For this, you need to make a few minor changes in the Meta data of the eCommerce site. By using meta data, it will not show or create pages with misspell or incorrect words. Undeniably, the content quality, video quality, images on the site will have a great impact on the experience of the user on your website. You need to post high quality pictures that let users to see the product clearly. Do not ignore the significance of photos and videos thinking the just content is being viewed by the prospective buyers while buying a product. Pictures that are appealing will be shared on Pinterest and other social media platforms. There are a few users who tag the photos and comment on them. This spreads a word of mouth about your brand, thus strengthening its image in the online world. You also need to optimize the images with right keywords to pull in more traffic and sales. You only need to use quality pictures. You need to take photos of these pictures in the right environment to let buyers connect to the images emotionally. This improves the sales. Though, you need to spend money on taking photos, but it pays you off at the end. You can also use videos to take the experience of the users to the next level. Add keywords, ALT text and caption to the images. In addition, you need to write interesting and compelling description about the product shortly. This gives a strong hint to the search engine about the site and about which product you are talking about. You need to conduct A/B testing by adding images and videos on the site to see how much traffic is being increased and thereby sales. You need to post two to three similar pictures by changing the colours and see which one is giving high conversion rates. How to add pages for the products on sale? Add a canonical URL in the HTTP head of every product page in which there is an item for sale. This lets search engine know that it is not a duplicate URL and rank it as a different version of the page, but not as the same version. You cannot overlook the significance of mobile in eCommerce industry. This is playing a crucial role. If your website is not mobile friendly, then you are simply losing half of your customers. Today, people are ordering products on the go from their mobiles. A plethora of surveys conducted on eCommerce solutions found that the site which are mobile compatible have seen a growth in the sales to two to three times more. You can create an app or make the site responsive. You need to offer the same URLs offered for the desktop version to let the user view the product on their mobiles. Let the user to switch from one version to another. Do not direct them to the home page like other eCommerce sites do. How to strengthen the site security ? Many customers will step back to do online purchases due to poor site security and intimidation of getting prone to cyber attacks. In online shopping sites, you need to provide your personal and financial data to carry out the transactions. It is the responsibility of the site owner to ensure that the site is secured comprehensively. You need to build up the trust and confidence in the customer by showcasing the logos and text stating that you are following security standards. You also need to show the SSL, encryption and visa certificates on the site to assure them that the site is protected. You also need to tell the visitors that shopping on your site is 100% secure and safe. This improves the conversion rates. Optimize the site regularly: Ecommerce site should be optimized every day rather than doing once and leaving it. In the process of optimization, the code of the site and look changes. The developers may fix one and create a new bug in some other page of the site. You need to use strategic and solid SEO framework to ensure that every change is made in line with the website and business goals. Use Google webmaster tools: This tool has to be used by every eCommerce site owner to find the bugs and fix them immediately before the situation goes worse. You keep on looking for 404 page errors and other similar problems. Also, see how the pages on the site are performing on the search engine. Identify the keywords with which users are searching for the products similar to yours. In addition, you also need to find poor and high performing pages on the site.You need to integrate this webmaster tool, Google Ad-words and Google analytics tool to get valuable information of your site performance in terms of search engine and users. Take appropriate action: It is not enough to keep a watch on data. You must take necessary actions from the collected data. You should know which areas on the site to look. It is crucial for you to identify the indexing problems, problem with duplicate or useless content, penalties imposed by Google, etc. You need to fix all these problems manually and quickly. Spend big on SEO tools: You need to use various SEO Tools like Moz, Raven, Deep crawl and other tools to detect the problems on your site, fix them and boost up the performance. You need to prepare a report to take the right actions. You need to timely check for problems and fix them. Every SEO tools has their own significance. 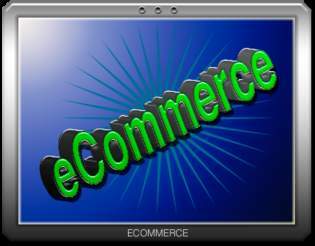 It is highly recommended to use various tools to optimize the eCommerce website. Perform manual testing: You can go for screaming frog SEO spider tool, which is considered as a powerful tool to detect the page and section issues on the site. You need to pick a single product segment and analyze its category and sub-categories. There are many problems that are aroused in the CMS area of the site which you need to fix immediately. Analyze the data: Every job you do to optimize the eCommerce site can be done in a better manner, but due to lack of resources, it is not possible. For that, you first need to prioritize your tasks on which areas of the site to be improved first and which are having great impact on the site performance. You need to develop dashboards displaying information about the site performance. Make your site mobile friendly: With the advent of mobile technology, you should immediately start revamping the site and make it mobile friendly to improve sales of the site. You need to give the similar experience that a user gets on desktop even on the mobiles. It is merely impossible to tell everything about doing SEO for eCommerce site at one go. The above given tips will help the eCommerce site owners to make necessary modifications in the site and improve sales and traffic. If you have any more tips, you can share with us in the comment sections. I am looking forward to hearing from you about the new tips which can bring scores of traffic and sales for an eCommerce site. The best way to flourish in any business is to go online and make the site user and search engine friendly. SEO is embraced by every business to boost its online presence and to improve the ranking of the site on SERP results. The SEO expert makes necessary changes in the site to make it friendly for the user to navigate and search engine to crawl. Seo-keywords plays a major role in website ranking. Keywords are heart of SEO strategy. As an SEO expert, you need to do extensive research about the company and gather relevant keywords to your product and services. Each web page of the site should be optimized with a keyword. When a user searches for the keyword relevant to your business, then your site appears on the first page of search engine results. 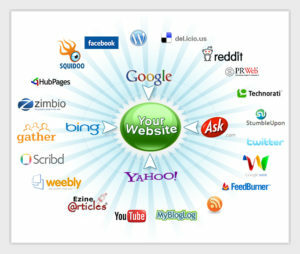 The SEO experts have the ability to control the ranking of the site based on the selected keyword. Also, you can embed keywords in the content and campaign at the right places to make it appear for relevant searches done by the user. Prior to picking keywords for your business, you first need to understand the business and website goals clearly. 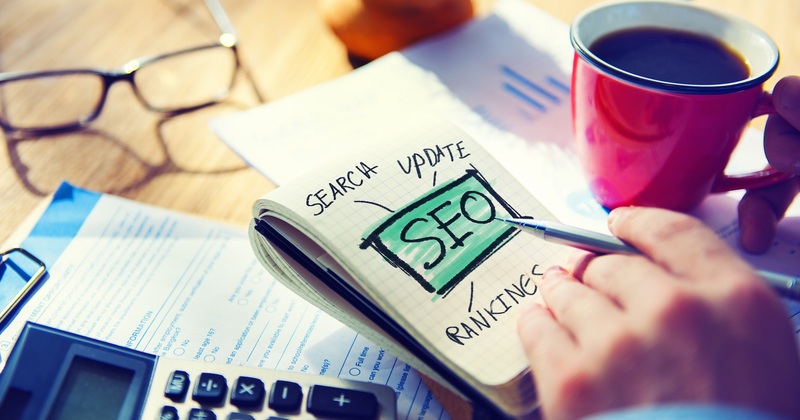 Many companies embrace SEO strategies to improve the site ranking and revenue. You should have a clear goal of how much traffic you want to bring to your site and how much revenue you want to generate in the coming six months. SEO is a long-term process and cannot be done overnight and bring in huge traffic. This strategy you embrace let you to know how much time it takes for you to see evident results. Few may take weeks and few may take months, but the results are guaranteed. If you want quick results, you need to choose the keywords that have less competition and high volume. 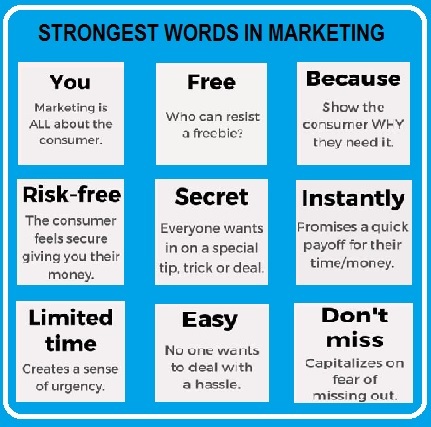 The keywords should be relevant to the business and target audience. You also need to know whether the keywords should be focused on a particular set of audience group or all types of people landing on your site. This can be clearly known by the traffic you want to seek to your site. In addition, you also need to know whether the audience who land on your site should make purchases or just learn about the brand. Once the website and business goals are set, the next thing is to know which type of keywords to pick, whether head keywords or long-tail keywords. Head keywords are short keywords which have two to three words, but bring in huge traffic and also have hefty competition. Long-tail keywords are lengthier and are used as a conventional phrase. These keywords bring low traffic and has less competition compared to head keywords. However, each type of keyword has its own advantages. The head keywords are used for long-term to pull traffic while long-tail keywords are used for short-term and give quick results. Using both these keywords will reap you fruitful results. Start jotting down the keywords by assuming of what search term the user enters while searching for product related to your business. You do not need to rack your brain for ideas, but come up with a few keyword phrases with which a user searches. You can come up with both long-tail and head keywords that a user might use to search for the product similar to yours. You can use the best keyword research tool to add the keywords you have collected while doing primary search to come up with new keywords. The tool that is used by many people is Google keyword research tool and the other is Moz. These both tools help you to come up with new keyword ideas and give the competition and search volume for those keywords. You need to add all the collected keywords in a spreadsheet and pull the keywords that are much closer to your products. After preparing the master list, you can start to narrow down the weak keywords. You need to keep the below factors in mind while narrowing down the keywords. Search volume of the keyword. This defines the number of times that particular phrase has been searched by the users. This helps you decide on how much traffic you can drive to your website. However, this volume is subject to change over time. Check the competition of each keyword. The high volume keyword has high competition. Undeniably, the higher the competition, the tough it would be for an SEO professional to rank better for that particular keyword. You need to balance between competition and volume. To check how relevant the keyword is to your brand. No matter whether the keyword has high traffic and less competition, but the keyword you pick should be relevant to your brand to incorporate in the content. The keywords you stuff also decide the traffic you receive to the site. You need to check whether your site is ranked for any of the keywords you have picked. If you are ranked, then it is quite easy to work on the keyword to bring your web page with this keyword to the first page of search engine results. One should choose the keyword that is relevant to your industry and personal taste. You need to rule out unwanted keywords and prepare a fresh list of keywords that help you to earn effective results and then optimize the web pages with these keywords. Though, the initial SEO keywords that are picked by you may not be perfect, but helps you to improve the traffic to your site. You need to check how the traffic is improved to your website after embedding these keywords from time to time. In addition, you need to make necessary changes to the keywords and their placements when required. No matter whether you are into baking business or photography or selling handicrafts, starting a new business is an achievement and you need to be glad and proud about yourself. Starting a business is a challenge and on top of it, gaining customers is another big thing for a business. When you earn a few dollars from a business, the joy you get cannot be brought even if you spend millions of dollars. You need to strive to flourish in this competitive business world. There is a steep mountain in front of you to climb up. If you are serious about growing and expanding your business year by year, then you need to work hard and keep improving your online presence to add new customers to your customer base. Once the business is well-established in the market, the next thing would be to earn huge revenue rather than just sustaining on the initial profits. However, today it has become quite easy for the businesses to scale up to newer heights in an affordable and easy accessible way. In fact, this has become the best friend of all the businesses irrespective of size. So, you would have guessed by now, the best friend of every business. It is none other than a website. It is essential for every website to create their brand presence in the virtual world. You can become be tomorrow’s successful company by improving your online presence. By doing this, you can reach the target audience in every nook and cranny of the world. Undoubtedly, blending a product or service with internet would achieve miraculous results. If you want to grow, then we are here to help by giving a few tips. The tips below will help you to scale up your business online in a smart way. It is a piece of cake to start off your business online. Prior to implementing your growth strategies, you should think about from where you have started. This starting point will give more confidence to bounce back with a high speed to achieve success. You need to start the online presence of your business with a few questions. What exactly is growth for you and your business? No matter whether your goal is sell your software to many clients or grab the attention of a sea of customers to your business site, you need to have a right goal in place. After defining the goals, you would need to a realistic time span and take the necessary steps to attain them. You need to keep tracking the progress of your goals from time to time. If you feel that you are not able to reach closer to your goal, and then tweak your strategies to attain the goal within the set time. You should never step back in the process of attaining your goal despite of many hurdles comes on your way. You need to face the challenges confidently and take your business ahead. Is Your Business in a Good position? You need to honestly answer this question instead of showing up off as in profits. If the financial health of your business is poor, then rather than thinking to scale up the business, you need to save this ship from bogging down completely. The Famous marketing expert, Dan Kennedy says that, “the last thing you want to do is get the word out about it”. You need to identify the defects in your product and try to fix them to attain perfection prior to putting your efforts in growing your business. How are you working in your business? If you own a restaurant and want to expand it by increasing or changing the menu to pull the eye of foodies to your restaurant, then you cannot simply keep chopping your vegetables during the lunch hours to prepare dishes. If your business is in the nascent stage, it is good to have a boarder picture. When you think to expand and grow your business, you first need to come out of the kitchen and start planning the daily activities that help you in boosting your brand. To expand your business, you would need to hire employees, since you cannot manage everything with the current bandwidth. If you try to do so, you would end up with failure and poor service. Undoubtedly, small business owners are always busy to increase the customers and improve sales. You need to know the financial options and check whether you get investors to invest in your business to take it to newer heights. If you have already availed a loan and want to take another one, you should know whether or not you are eligible to avail it. You would need a lot of money to grow your business. Luckily, internet is cutting down the expenses on marketing and helping you acquire customers easily. If you want to invest in some other area and lack funds, then you need to cut costs in few areas and invest in other areas. For instance, instead of hiring new full-time employees in your catering business, try to freelance this work to the freelancers. If you are committed to scale up your online presence, then it is the high time to get your hands dirtier. Spend more time in your business till it become success. If you already have developed a website for your new business and is live, then it is well and good; if not you need to invest in developing a website. It is crucial for every business to stay online to improve the customer base. If you are not online, your loyal customer may become the customer to your competitor. Before this happens, start your own site to sell the products globally. Though, you own a brick and mortar store and nothing to sell the customers online, but having a website will let the customers know more about what you are selling. When they are in need of your product, they would evoke you. The website is the image of your business. This helps you to promote about your products, services, special officers to the customers round the clock. People do not need to be a technical savvy to manage the website. If you are having this fear, then leave this. There are many website themes available in online that let you create a professional website with a few clicks and without any coding knowledge. If you want to sell items to the customers online, then you need to choose WordPress site and use the E-commerce tools like Shopify and Woo-Commerce to give an incredible shopping experience to the online users. There are many Woo-Commerce templates available from which you can pick the best one that meets your business needs besides helping you improve sales. In addition, you also need to use a reliable web hosting services to host your business to stay alive and online all the time for your customers to access. When the site is online, it gets a sea of traffic and sales in no time. Many professionals prefer taking the services of DreamHost. Website owners only have a few seconds of time to convince the users to stay back on the site without bouncing back. In these two to three seconds, you need to impress the customers by making your site simple to use, attractive and easy to navigate. If the website visitors are not able to understand what you are selling and where to buy your products, then they immediately bounce to another site and buy the products similar to the ones you are selling in other sites. Ensure to have an easy navigation so that the user can move from one page to another with ease in search of information. Do not cram the website with videos, images, and heavy and uninformative content just for the sake of making your site look full. Whatever you post on the site should have a strong purpose and should convey about your brand. More importantly, you need to optimize the footer of the website. You need to keep posting new and fresh information in the blog. The posts should be published very often to let the customers land on your blog for new information every week to hog the latest information about your company’s products or services. 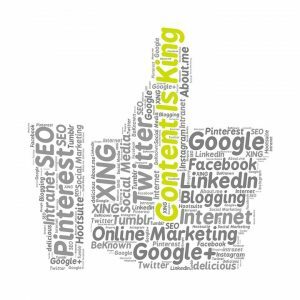 You need to post the content related to your domain and area of expertise. The blog posts that are really intriguing would be shared by the customers on their social media pages. This helps you gain more page views and traffic. It is not advised to recycle the post from your same site instead try to come up with fresh and SEO-friendly articles to keep the audience engaged on your blog for a long time besides compelling them to come back to your blog again and again. If you are not a good writer, then you can hire a marketer or copywriter to write fresh and professional content every week. Today, the internet users are totally depending on Google to find a piece of information about a topic or want to buy a product from a specific manufacturer. Google will show the results of all the service providers who are providing the service or product similar to the ones you are selling when the user searches with the keyword similar to your product. The best way to increase the traffic to your small business site and to your brick and mortar store is to list your business in Google My business director. This helps you get local customers walk to your store to buy your products. If your site is driving a huge traffic, then you need to make it business friendly. It will help to reach to more customers. When a website visitor lands on your site, he/she will read the content on the web pages and after reading what is the next thing they need to do. When you put a call-to-action button in every page, you can tell them what they need to do after reading the page. The call to action button may be to fill the details to get more information about the company or to subscribe for newsletters or to download a video or to avail the offer. This is the best way to encourage customers to take a desired action. The website owners should push the customers into the sales funnel. The website offers the push by motivating the customers to take an action. You need to use your goals on how you would like your business to grow. Marketing is not just about selling your product or service to the customers, but it is about giving solutions and connecting with the people. It is crucial for you to have a compelling “About us” page on your website. The content posted on this page would act as a brilliant marketing tool. People who are buying your product would want to know the history of your company and what inspired you to make this product in a narrative way. You need to tell your story to the customer in an interesting way. They should be able to see your passion in starting this small business. Undeniably, behind starting a business there would be a story. So, you need to paint the story well to gain the trust of the audience. You either need to learn SEO or you need to hire expert SEO consultants to get the SEO job done perfectly. Undeniably, every website needs to be SEO friendly to stay ahead of the competitors. The site despite of having wonderful content and highly features product, if it is in oblivion, there is no point in having a site. So, it is the job of an SEO expert to throw light on the websites that are lurking in the dark. These people make sure that your site is visible to the audience who are looking for your product or service and ensure that your voice is heard by all the people globally. You would need to create fresh and informative content to drive huge traffic to your site and improve your SERP ranking. Undoubtedly, you cannot bring your site onto the first page of search results overnight. It is time-consuming and a headache job, especially for the businesses that are in the nascent stage. 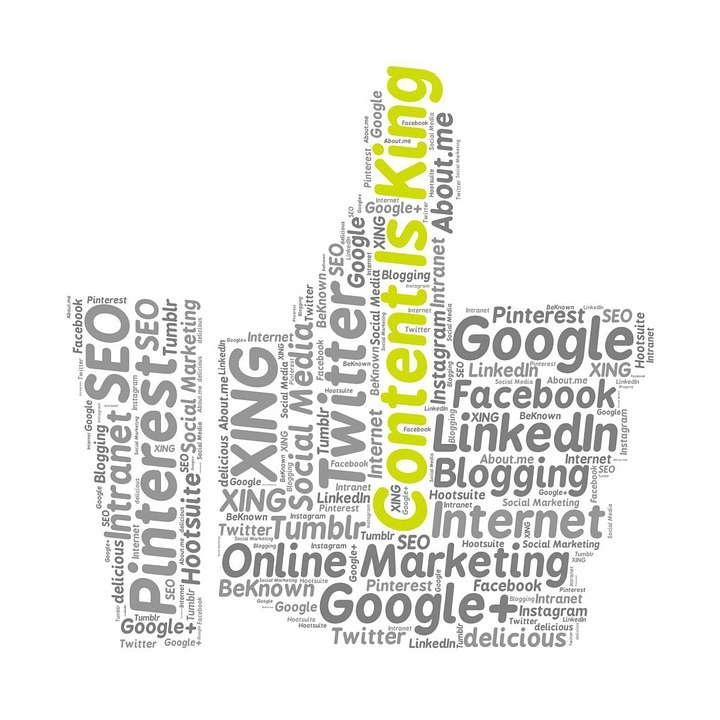 If you have no time to handle the SEO tasks, hire the best SEO and content marketing expert. Ranking your business in Google is one of the main answer for how to make online business effective. When you have developed a website, you need to navigate throughout the website with fresh eyes and mind or otherwise you can tell someone who has not navigated to your site to navigate and share their experience. These people will give their honest feedback on site navigation. They will let you to know how easy or hard it is to find the products or services you are selling and where does the customer need to go to make purchase. This helps you to work more on the checkout process and give a better shopping experience for the customers. In addition, it also helps you the way you offer the product to the customer. For instance, you can tell the customer to fill the form or questionnaire rather than requesting them to email or call you. If you have improvised your product or service, there would be always room for improvement. If your business is exclusively done in brick and mortar store, then you need to think of something that you can sell online. There are many businesses that are providing their service to the global clients online. For instance, if you own a hair care clinic, then you can tell the customers to book appointment by filling the appointment form online rather than calling you and booking it. This is the easy and best way for customers to do it. In addition, you can provide customer support either through Skype, online chat or email. This helps the customers to get their query resolved immediately which eventually helps you get more traffic and sales down the line. Once you have developed an appealing site, it is time for you to drive traffic and sales. Add all your potential customers into your database.You need to do email marketing whenever there is a special offer or a new product of yours is released into the market. This email marketing is considered to be cost-effective over the print advertising. When a customer visits your site, it would become a new lead for you. Undeniably, every visitor will land on your site with a purpose, so you should never let go this opportunity rather should turn the prospective client into potential customers. When the visitor visits your site, you need to give a special discount or a complimentary product in exchange to their email address. Also, you need to keep sending coupons to their emails to redeem them in your stores after buying one of your products. You need to do everything to collect the email addresses of visitors who land on your site legally. This helps you to push them into the sales funnel and get a qualified lead. You need to encourage your visitors and social media followers to subscribe for email newsletters. You need to create informative newsletters which the customers or prospective clients should found useful rather than thinking it to be a junk email. You need to keep sending the newsletters about your latest product releases and company updates to the customers from time to time. If the content is fresh and informative, you would get more clicks in the newsletters. The more clicks, the more the traffic to your site. More traffic is one of major solution for how to make online business effective and wise. You also need to send coupons to the customers to encourage them to make purchases. 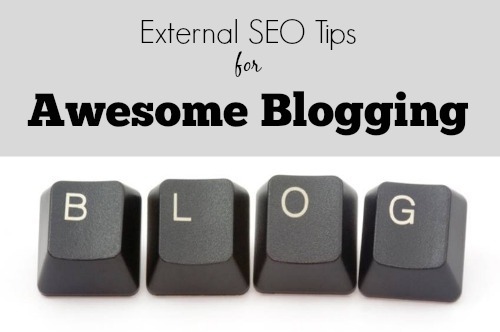 You need to add a link to your blog posts in the email newsletters and a call to action button. The email newsletters will help you strengthen the relationships with the customers and will let you measure the performance of your marketing techniques. When you give offers or special discounts on your products, you can gain huge traffic to your site. The ideal time to send coupons to the customers is during special occasions and weekends. The offers should satisfy the customers. This is a solution for how to make online business effective and wise. People who made purchase from you would like to buy from you again and again. Do not let the past customers to slip from your customer base. For that, you need to follow them up by sending regular emails about the latest offerings. You need to send the coupons or offers on the products that they have purchased earlier and request their feedback on the product. You also need to invite them to subscribe for newsletters. If you have set up a nice and user friendly website, it is the right time to do snooping. You need to check the competitor website from time to time to see what are the changes they are making in the site to grab the traffic to their site. You need to keep a close eye on the content they are posting, call to actions and newsletters. You need to come up with the strategy that is more powerful that your competitors. You need to offer a better product to the customers with additional features that what your competitor is offering. It is crucial for you to keep a tab on competitors to check what new is being done by them from time to time. As a small business firm, you need to streamline the process to improve the productivity of your business. Updating your web page is one of the answer of how to make online business effective. Today, social media is used as a marketing platform by all the businesses to strengthen their brand presence. Undeniably, you need to go to the places where your customers are rather than calling them to visit your website. So, social media is one where you can reach the customers in every nook and cranny of the world. You can join all the social media platforms to maintain good relationship with your clients. If you feel you cannot maintain two to three accounts at a time, start with one and then slowly spread across different social media platforms. Social media is the face of your business. So, when you are creating accounts give proper naming that will not take a toll on your brand reputation. You need to create an account with the name that is easy to remember about your business by the audience. You need to post the content that is informative rather than posting junk stuff that would bounce the customers. 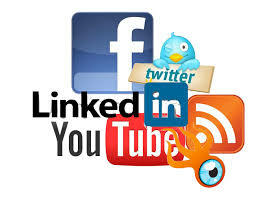 It is recommended to hire a social media manager to take care of your social media accounts and timely postings. Promote the content on your website through various channels and also keep posting intriguing posts on social media pages to drive more traffic to your website besides improving the number of followers on social media. You can post something about your business on Twitter with a link to Facebook page. This will compel the audience to click on Facebook link to know more information about what you have posted. You need to engage your customers by posting fresh content rather boring them by posting the same in every social media account. You need to experiment different opportunities on every platform to keep the followers hooked to your social media accounts. Never dilute your social media efforts rather keep it effective to attain the favorable results from social media pages. 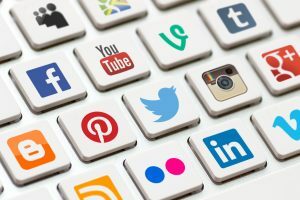 Here are the ways you can embrace to choose the best social media platform for your business and how to make online business effective. You need to connect with the thought leaders in your domain. It is crucial for you to like, comment and follow their posts and invite them to view your website. You can also rub shoulders with the business leaders to grow your business. This helps you gain maximum exposure online. Moreover, the crowd funding campaign will improve the brand reputation and more and more people will love to follow your social media pages. To make the campaign a big success, you would need to add a link to the campaign on your social media pages to redirect the followers to your site to know more information about the products and services you are offering. The business can be expanded by improving the reputation. You can also internet to improve your brand presence not only within your market, but beyond your field. You need to build a community to encourage the interested customers to join. This community will be a great platform for your loyal and like minded customers to join and share their thoughts and ideas. You can create a Facebook group, in addition to your company pages to cater the needs of your niche audience. You can encourage your customers to interact in the group and ask questions. You can use this platform to promote your new products and have a word about new offers. If your group is functioning actively, then you would get feedback from your customers which you can use to improvise your product besides maintaining loyal and long-term relationship with them. You need to set rules in the community to avoid people from posting provoking or abusing posts. It is recommended to have someone to moderate the posts to sail the group in harmony. If you create something that is useful and creative, then the people liking the post will share these videos, articles and other stuff with the other people in their account, thus helping you get more brand exposure and traffic. Whenever you post something on your social media page include a link back to your website to encourage the audience to read more information on your site besides compelling them to take a desired action. If you have knowledge on any topic in your industry, you can share this on your blog or website for free instead of using it as a marketing trick. You need to host classes in online to impart knowledge to your customers. You can archive these videos to let customers refer whenever they want. Also, you can make how to videos and share them on your social media accounts. You also need to encourage customers to suggest a few topics on which you can create videos. You can ask the customers who land on your social media pages, blogs or website to send their queries related to the subject directly to the provided email or fill in the feedback form. This works wonders for the consultants. For example, a baby sleep consultant can jot down a few questions and post them on the blog or site to let the parents answer them. He/she can create a video out of those answers. This helps the consultants to give a solution for a few specific problems. It is also very helpful to keep the questions and questions that were probed in the past on the website for reference. Improve brand reputation of your business and show your area of expertise by taking part in Help a Reporter out (HARO). This is a free database that is acting as a platform to connect both the reporters and sources. When you register on this database, you would get a few queries from the reporters which you need to answer to show your prowess in your field. For instance, if you are a dietician, then the journalist asking you something related to diet and you giving the potential answer would improve your reputation in the market. This improves your business credibility and also gives a quality link to your website. You can tell the questions that you have answered a journalist on your website and share this news on social media accounts to get more exposure. Spreading news about your business.This is how to make online business effective and wise. When you want to grow your small size business, you should be keen on numbers. You need to track all your marketing efforts to let know which are working great and which are debacles for your business of a specific market. You need to track the performance of your marketing efforts and this can be tracked with analytics where you can get the number of page views, clicks and opens. This helps you to know what works better for your specific market. Also, this helps you to know the kind of blog posts; content offers and discounts are appealing to the audience. You should always experiment new campaigns and use A/B testing to fine tuning your marketing techniques. This A/B testing will give you the best marketing technique that is helping you get more clicks, subscriptions and opens from your potential customers. If you want to really grow, you keep experimenting with different marketing techniques rather keeping your developed website aside and forgetting about it completely. It is crucial for you to monitor and measure all the factors carefully. When you are growing in the business, you should keep track of your costs and expenses. Undeniably, budget would be low for small businesses, so they need to spend every penny wisely. Two factors that you need to watch closely include. A lead is something that you get when someone downloads your app, subscribe to newsletter, and request more information and so on. No matter whether you are collecting customer details at a trade show, or getting an email address through newsletter subscripting or creating sharable infographics on social media, you should count every penny and you should know whether you are getting high return on investment or not. This can be calculated by dividing the amount you spent on marketing by the number of leads you have generated. You need to keep asking yourself, whether the amount you are spending on marketing is giving leads or not. If you are not able to generate the leads more than what you have invested, then it is time to try a new tactic. You need to calculate the efforts, time and money spent on each sale. This should be calculated by dividing the amount spent on finding a new customer by the number of customers who have made purchases or availed your service. If the cost per sale and the amount you have spent in manufacturing a product is less than the sales price, then you made a profit. You need to dive in-depth to analyze the cost of each offering and in addition, you also need to find the lower cost per sale. In addition, you also need to put efforts in grabbing the attention of customers to purchase your products. If there a few products that are not giving profits, then you need to make necessary changes to increase profits or decrease the cost to produce them. You need to take suggestions of the industry experts to pull the eye of the customers to improve sales and scale up your business in online. However, it is not advised to practice every strategy that is told to a small business owner, since it may turn your business stale. You need to follow the unique strategies that are not followed by other sites to scale up your business to newer heights. You need to keep a close eye on the analytics to find what your audience are exactly looking for in your business. Try to come up with the solution by breaking the rules. For instance, take freely available content. Everyone loves to hog on free content as it is available to everyone and everywhere. When you are charging on content, it should be something worth reading. Few of the unique contents include, recipes, knitting patterns, customized diet plans, etc. You can charge a few bucks on every newsletter you send to the customers, if the content in it is highly worthy to the reader. Internet is growing day by day and is a great place to experiment with new marketing techniques. Every business can embrace new ways to grow their business online. Keyword Research and Analysis is an important part in SEO. 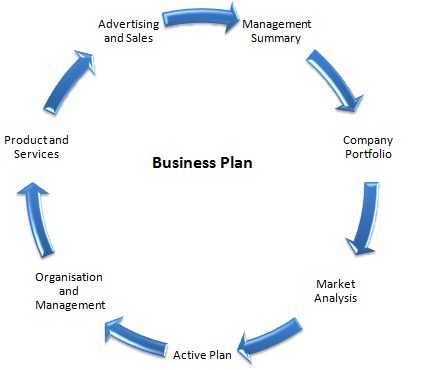 Analyzing the nature of business is first part. Conducting effective keyword research is second part. Keyword research includes studying the business possibility & relevancy of keywords. Most potential keywords must be identified for better results in SEO. 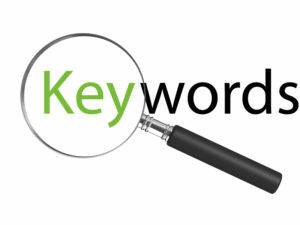 The keywords identified must have relevancy, search volume & business chances. If a non-relevant keyword is used in seo visibility, there cannot be any any business conversions. There are lot of keyword research tools available online. Most of those tools may give a row data about keyword search volume & competition. Choosing a keyword by analyzing its search volume and monthly demand is foolishness. Because if you choose a wrong keyword or a non-relevant keyword for your SEO campaign, it wont work. If the business conversion possibility of selected keywords can be identified, your research may give good results. Some keyword research tools gives keyword difficulty scores. Where we can understand the competition level or the push pressure by other competing websites. So depending keyword research tools may not give perfection for your keyword selection. If the keywords identified using keyword research tools are potential for the business, the results will definitely bring better Return on Investment. Google keyword planner is free tool available with Google Adwords. Before it was independent keyword research tool. It was available with a simple Google search. But now you have to sign up with Google Adwords account for using Google Keyword Planner. You can use your Google account for conducing research in Google Keyword Planner. SEM Rush is one of the golden tool you can use for your keyword research and analysis. Easy research based on related keywords, competing websites in organic and paid way etc. area main advantages of this tool. Even if this tool is also free to use, there are number of limitations. 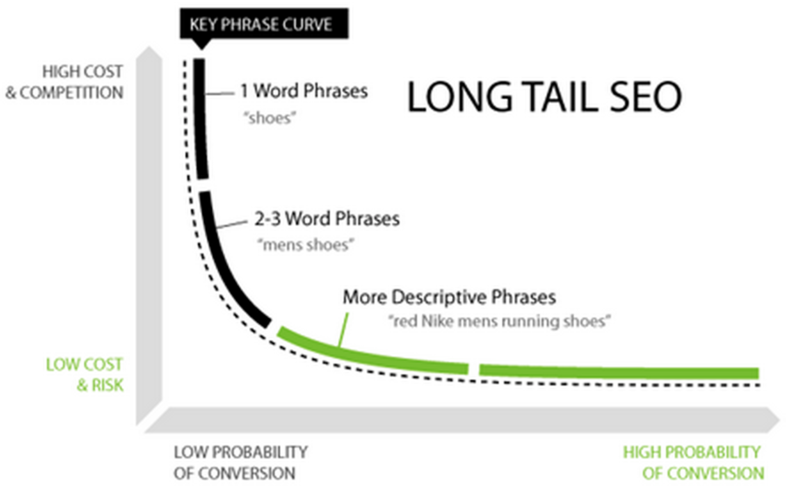 Use long tail keywords which are relevant for your business. Always discuss with the client / business owner / persons concerned before finalizing the keywords. Use different tools for your keyword research. Conduct a search in Google ( identify the related keywords, suggested keywords and select relevant keywords form there). Google always show many keywords after their search results, saying searches related to your keywords. Traditional methods of business promotion fail to work out nowadays. Online marketing became popular and to be the best among them you need your sites to be optimized. 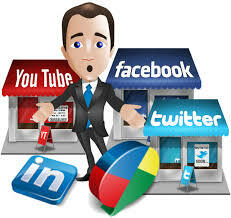 Promoting your business products and services through social media help to enhance your business. So, social media also face the importance of SMO. Here comes the Top 10 Social Media Optimization Tools. 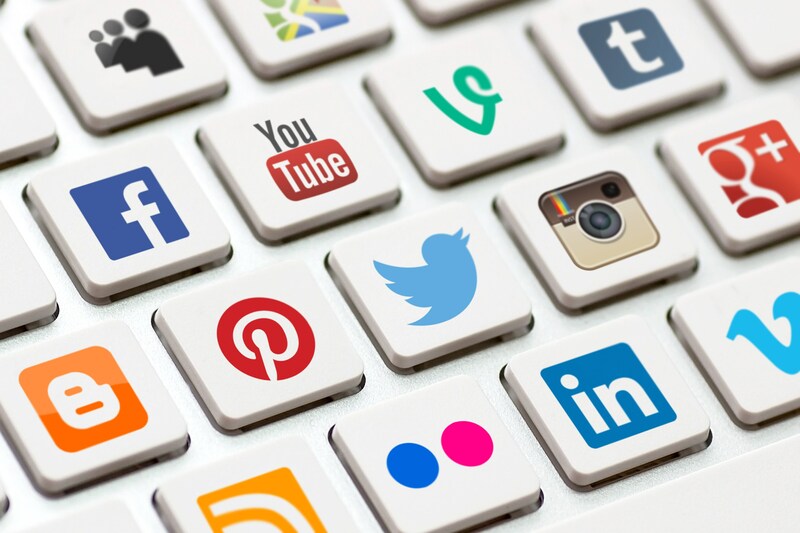 Social Media Optimization is the process of increasing the awareness of a product, brand or event by using a number of social media outlets and communities. 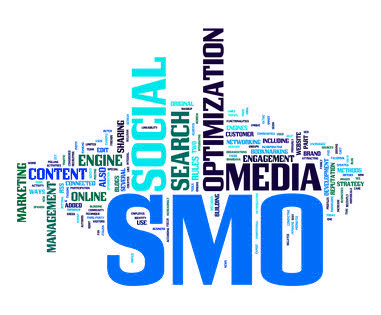 The changing nature of marketing increases the of imporance of SMO. It is a useful free tool to measure the social presence of a particular keyword. It is owned and operated by Hummingbird Web Solutions Pvt.Ltd, India. It measures the brand’s impact on social web since 2008. This tool takes snapshots of customer social presence and uses for further optimization programs. It is the best one among the top 10 Social Media Optimization tools. KnowEm is both a free and a paid service to check whether keywords have been registered as social profiles on social media websites. It was formerly called as CheckUserNames. It helps to improve the social profile or if we feel difficulty KnowEm will do it for you once you pay it. The result from KnowEm tells how your site will look when shared through social media. It is a browser add-on to discover the latest news on social media. It helps to build powerful social media accounts. It keeps a keen eye on the upcoming articles on Digg, Reddit etc. It was started in 2008 to bring out a competition in social media marketing. It identifies the keyword visibility. Search results related to both organic and PPC are controlled by SEMRush. It tracks the keyword ranking, check backlinks and check competitor ranks. It finds out the keyword for which your site is ranking for. It was launched by Google to provide insights into the search terms. It is similar to Google trends in all features except it provides a visual representation of regional interest on a country’s map. This does a research on new trends of keywords. By September 27, 2012, Google trends took over again. Page Inlink Analyzer is a backlink checking tool based on Yahoo’s site explorer. It checks the total number of links in the page. If a particular URL is bookmarked this tool identifies that. It finds out the keyword for which the website is ranking. It recognizes subdomains and considers them as internal links. It is both paid and free service. It has it’s on web crawler MJ12 and it’s own database. The total number of links to the URL along with page rank, external backlinks, total backlinks is identified by this tool. They have their own ranking system called flow metrics. Social mention is a social media search platform which includes blogs, forums, bookmarks etc. It searches contents from blogs, comments etc which allow users to monitor what people are talking about their products or services. Bitly is a link management tool. It was established in 2008. It provides URL shortening service. In spite of links, they also determine the videos which are popular in social media. It was launched in 2009. It uses a ranking algorithm to measure the social involvement of users based on blogs, comments, forums etc. PostRank analytics tracks the user engagement. If you like to make your media marketing easy, optimize your website with any of these above Top 10 Social Media Optimization Tools. Don’t get confused to choose whom for the best search engine optimization services, SEOZooms is the best option for you. As we all know, Social media is an internet based software, in which we can communicate with each other, exchanging new ideas, professional information, personal photos, and current affairs etc. 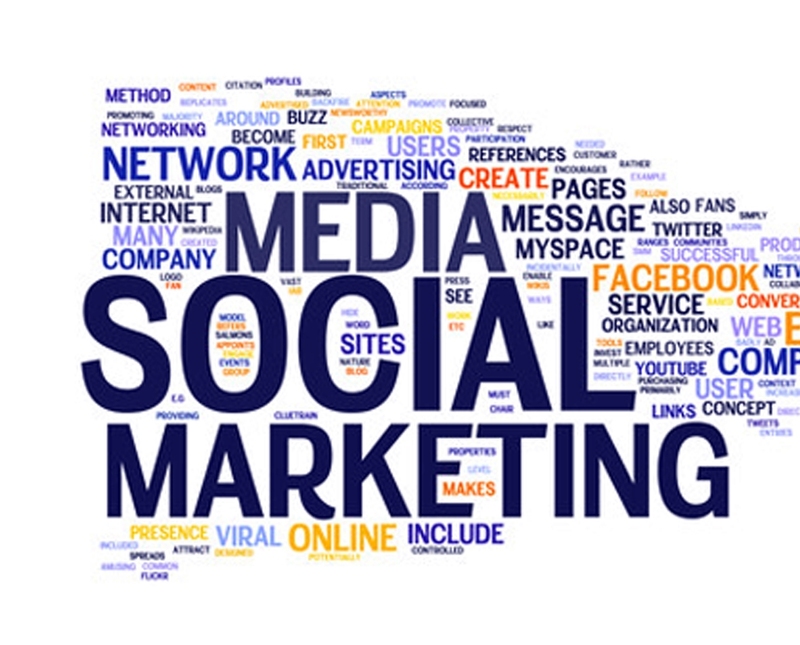 These days it’s a common marketing advice to improve your business through social media marketing. Nowadays everyone is depending on social media for communication. It becomes a part of our life. Social media is an important factor for industry to improve their business. They can post their products details through this platform, Earlier, the businessmen had only one option to reach the customers, that is traditional media like the newsletter, radio, tv etc. This media is very time-consuming and the output also very low. 1. create a strategical marketing plan after evaluating customer likes and dislikes. For every action you take on social media, there will be an immediate reaction from the user, such as likes, share, new post etc. You should be aware of all the type of customers and their likes and dislikes. If you plan your marketing strategies according to their wish, no doubt you will achieve the desired goal. Regular post on social media will maintain your site’s interaction. There should be an interesting content in your post to attract your product. More than 50 % of people use social media like facebook, twitter. So they are expecting a new post every day. 3. promote your product with seasonal offers, discounts, and coupons. If you are planning to promote a certain product. What will you do first? You will announce some discounts and offers. Apart from this, if you have a sound financial background you can do lucky draw coupons, shopping vouchers etc. You should update all these changes in social media with images and videos. social media contest is one of the main element to improve your product market. You can choose the contest type according to the type of product you want to market. Social meida has the power to change the level of your business. Social media is one of the greatest innovations of the technology. We can, not only communicate with others but also market our product directly to those we want to reach. Now I will explain different platforms we use for marketing in social media. Without doubt, we can say that facebook is one of the main platforms for marketing your product. Primarily, you have to post your product photos, product details to those who want to buy this product. You should update the changes which arise in product and also should aim accurate customers when you post the products details. When you get more like and share for your product, product value will automatically improve. The next step is target oriented marketing, if we put a target on your post, 30 likes and 5 shares in a week and you are achieving the target within a week. Therefore, you have to give more attention to your post to increase the interaction in your post. In this, we can start with a tweet. That is any conversation with the world with a simple tweet that will reach a number of people. Like that, a company can tweet about their products details within 140 characters. If your tweet will get viral, number of people share your post and retweet your content, you will get more followers. We can have an article about our product that can be posted on twitter with relevant hashtags. 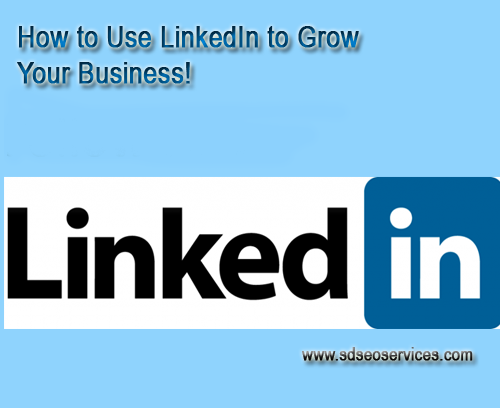 LinkedIn is number one professional networking site and also an essential part of your online marketing, especially for business to companies. It is very easy and free to create a company page where current customers, potential entrepreneurs, and other friends can follow your update and share them with their followers. You have to invest time and efforts to create an attraction for your prospective customers. It’s all about career development, professional connections, industry discussions and other types of business-related activities. Linkedin is not like other social media marketing platforms. We use Instagram for sharing photos and images. When it comes to business,we have to take more care about your product that we want to market. The product’s image should be clear and nice looking, familiar to the audience, and with nice content. Share your image with valuable hashtags. If we put an attractive image with a nice quote. The customers will stick on the image and of course next minute they share it with others . Youtube is the second largest search engine, owned by google. when it comes to search engine optimization, mostly videos are likely to come up first, when it compared to other websites. So sharing video in youtube is more effective than other source and it’s a free process. You want a youtube page for your brand, make it attractive and colorful background. Give a logo for your page. It will help to recognize. Presentation of the video should be interesting. Within the first 3 minutes, make it attractive and clear to the viewer about your product or service. Do accurate SEO for your video, it will uplift your position in search engines . 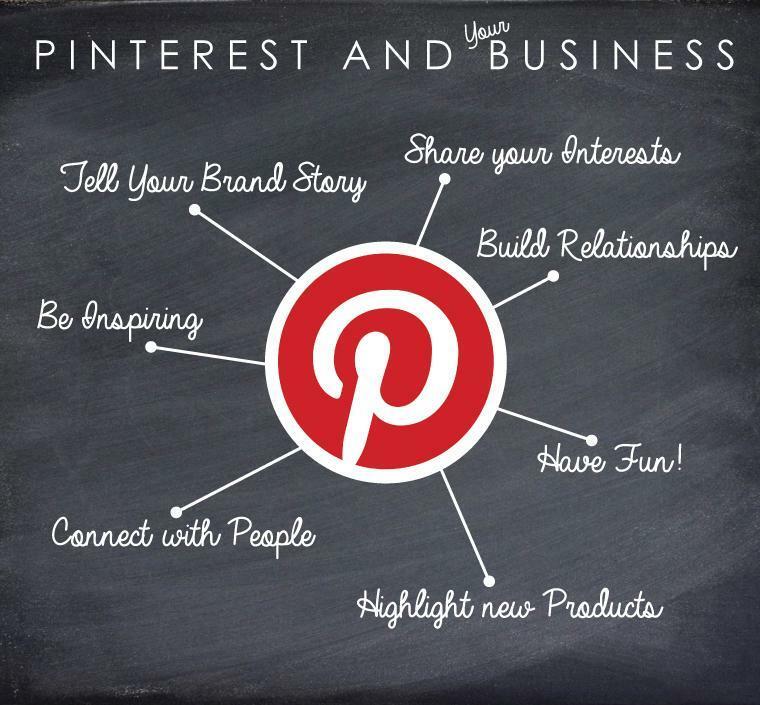 Pinterest is a type of marketing, in which we can market a service or product by using visual effects. Mainly it focuses on marketing crafts,cooking etc.If you have a good plan on your Pinterest activities will help you to reach the desired position. 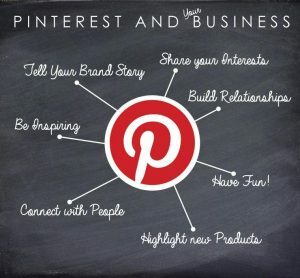 Users find your product or business by using keywords in your board titles.You should select a category for each board, so that the users can find it easily and Pinterest also recommend your board as well.Use keywords in your description, Its should be short, relevant and clear. If so the users will pin your tweet. The text in the pin description will be the tweeting text.Share your pins and boards on the other social media channels. These are the main platform which we use for marketing business. Many other platforms also there which are yelp,tumbler etc. Google’s Panda Update is a content filter implemented in February 2011. Like the older version of Google Panda update 4.0 is also connected with content quality. Google panda has another name called Google farmer updation. 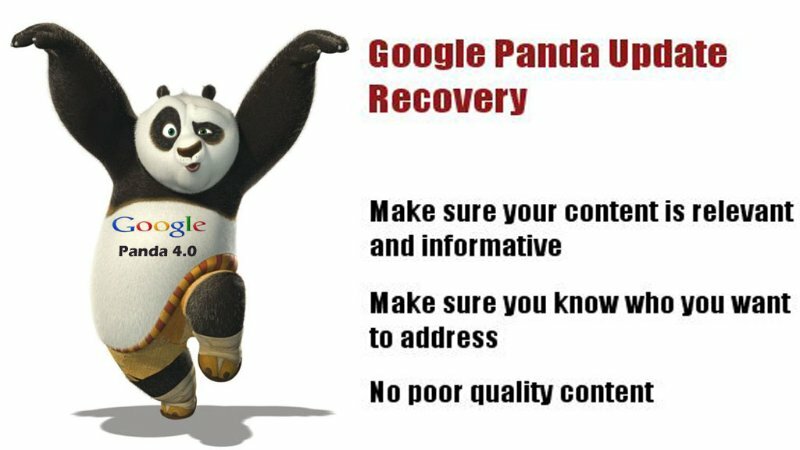 The former version of Panda were installed as permannent filters in Google algorithm. Filter in the sense it will avoid law quality contents and duplicate contents from web pages. Many expert researchers have already published many articles stating the importance and strength of the Panda Filter. Google authorities have mentioned about Google panda as Google Search Engine Algorithm Updates which aims avoiding web pages published with low quality contents and duplicate contents. In 2014 May,Google panda update, version 4.0 has released. It has added as a permanent filter in google algorithm.Google panda update, version 4.0 the key measurement for ranking the website top. The contents which were eliminated by the panda temporarly stored in a place known as sand box. Panda version 4.0 is a major update to the data refresh versus actual algorithm. Google panda update 4.0 affects different languages to different degrees. In English for example, the impact is ~7.5% of queries that are affected to a degree that a regular user might notice.Panda is upgraded as a website ranking algorithm. Panda allows Google to take quality into account and adjust ranking accordingly. The latest details we got from googles is that, no panda updation has done for last few weeks. But webmasters and SEO are not still beliveing about goodle panda updation has not made on last weeks even though the this statement has made by Google. Start Your Career With SEO, career opportunities are available in many business field. So Search Engine Optimization is first career choice for students. Search Engine Optimization (SEO) is becoming one of the most important career in world. Search Engine Optimization is the process of improving the visibility of a website on organic (Natural SEO) search engine result pages ,by incorporating search engine friendly elements into a website. SEO (Search engine optimization) is a internet marketing strategy. It considers how search engine works and what people search for the actual keyword typed into search engines. Optimizing a website may involve editing its content and HTML page. If you starting an SEO project, the site owners should carefully read the webmaster guide lines. The Search Engine Optimization is used to increase the no.of visitors to a website by obtaining a high ranking in the search results. 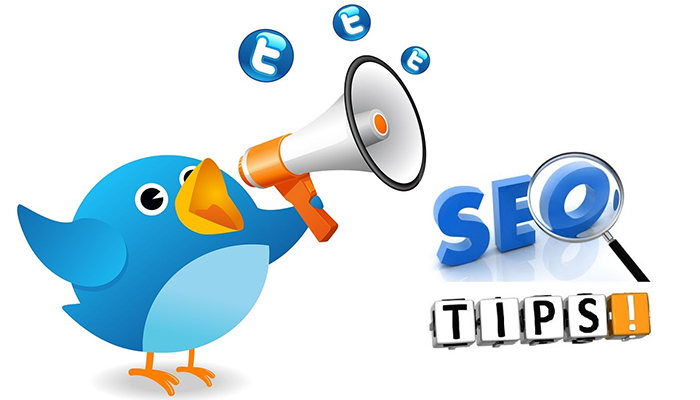 Search Engine Optimization plays an important role in online business field, such as flipkart, snapdeal etc. SEO methods can be separated into organic and non organic. Organic SEO is generally called as natural SEO. It takes more time to execute and get longer term results. Non organic SEO is also called as Artificial SEO get quick results and the effects are generally less effective compared to organic SEO. The non organic SEO based on search engine marketing which involves paid advertising, pay-per-click advertising as well as paid affiliate marketing. Now a days increasing demand of SEO service, the employment opportunities in the industry are also increasing. When site having increased in number and doing great business, an expert SEO has become the need of the companies. Also expecting more job opportunities in DIGITAL MARKETING field . Large brand advertisers are using SEO actively in india & internationally. Growth in the number of local search request with mobile web searches. Direct marketers are increasingly adopting SEO. Increased use of search engine to look for information on web year on year. The average pay for a Search Engine Optimization (SEO) Analyst is Rs 159,814 per year. Depending on different factors like Years Experience, Employer Type, City, Company Size, State or Province, Certification etc. If you are in United States then the chances are better because companies offer better pays for SEO Professionals which range $32,312 – $49,257. The overall income atleast 10 times more than what Indians are paid. SEO is the force behind the success of the company. Internet marketing is a large industry everyone is accepting the changes in business fields. The top companys are keeping huge budgets for internet marketing. There is a huge scope in this field as every web projects needs traffic from the Search, hence everyone is looking for optimizing their websites to rank in the top of the Search Engine Results.